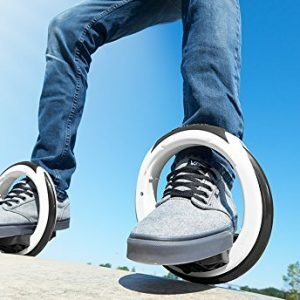 MAX LOAD WEIGHT 210 LB (95KGS) them suitable for adults to use! 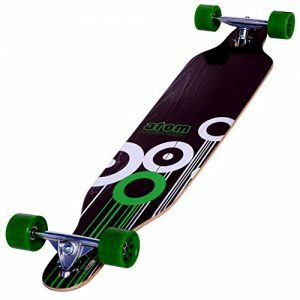 Equipped with ABEC-7 bearing, our skateboards are fortified with EXTRA STRENGTH! 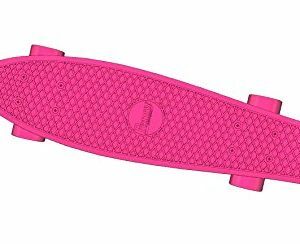 Deck is constructed with durable ABS Plastic to last long, adding stability and COMFORT TO YOUR RIDING EXPERIENCE! 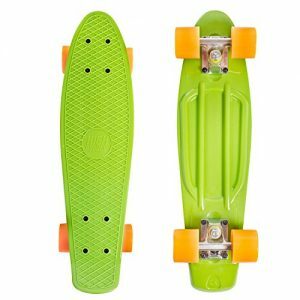 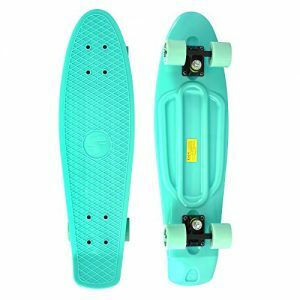 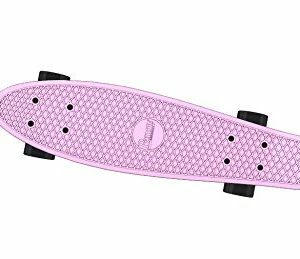 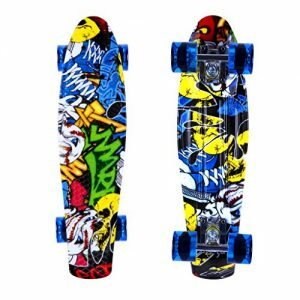 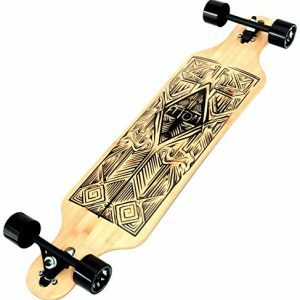 Enkeeo 22 Inch Cruiser Skateboard Plastic Banana Board with Bendable Deck and Smooth PU Casters for Kids Boys Youths Beginners, 200 Ibs. 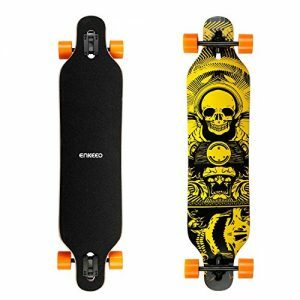 FULLY ASSEMBLED COMPLETE BOARD: Don’t worry about putting all the parts together, we’ve done that for you. 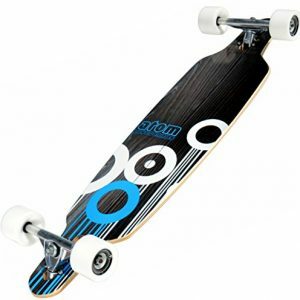 Complete skateboard ready to ride right out of the box. 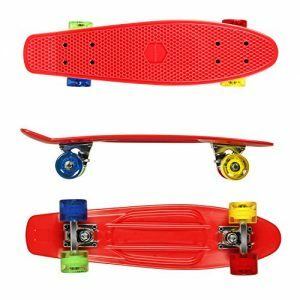 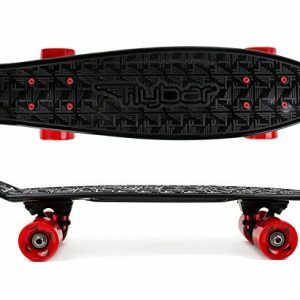 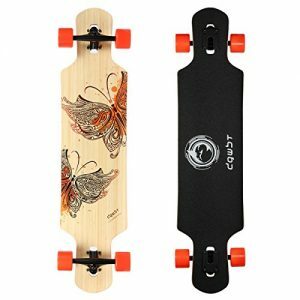 CUSTOM FLYBAR NON-SLIP DECK- The 22″ x 6″ deck on our complete plastic skate boards are made of a strong, high impact injection molded plastic that will give you the flex and strength for smooth and quality ride. 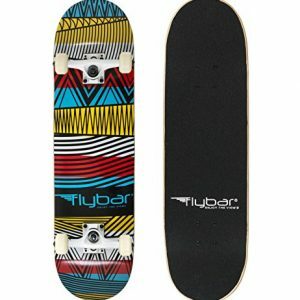 QUALITY FLYBAR PARTS- Every part on Flybar 22″ Skateboard is made quality materials to give you the best ride possible. 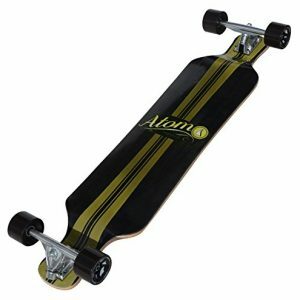 The aluminum trucks and medium bushings will allow to smoothly turn and cruise; the ABEC 7 precision bearings are made to give you a speedy and effortless ride; and the soft 85A PU Wheels bring it all together for the ride you are looking for. 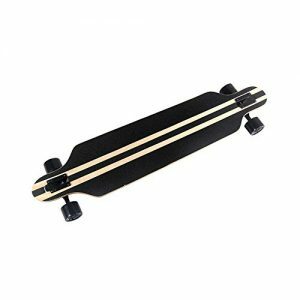 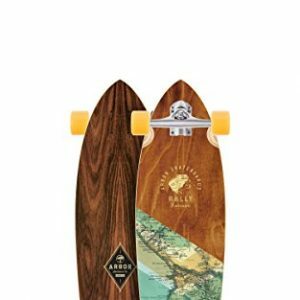 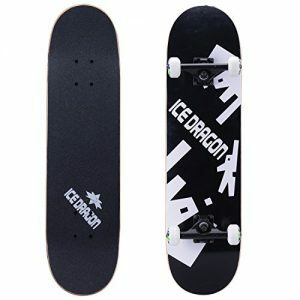 LIGHTWEIGHT 7 PLY MAPLE CONSTRUCTION – Our skateboards are made from quality and durable maple wood. 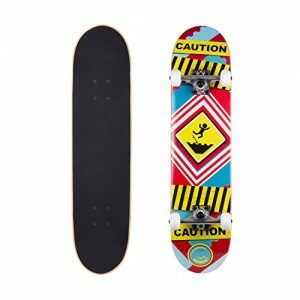 Lightweight and sturdy to expertly execute all your tricks. 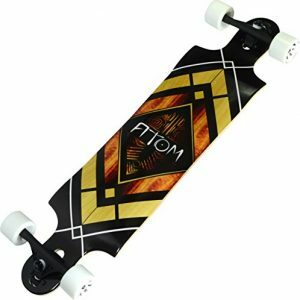 5″ ALUMINUM TRUCKS – These trucks are painted white for a sleek look while still being durable and lightweight to keep up with your best tricks. 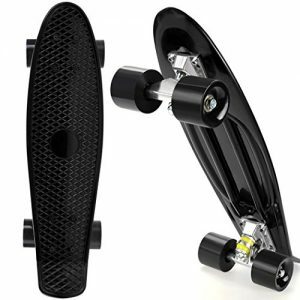 Adjust the trucks to your preference. 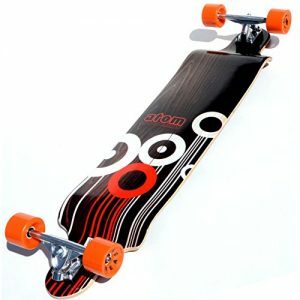 4MM RISER PADS & MEDIUM/HARD BUSHINGS- The riser pads giving you some extra height to avoid wheel bite while turning or after nailing one of your tricks. 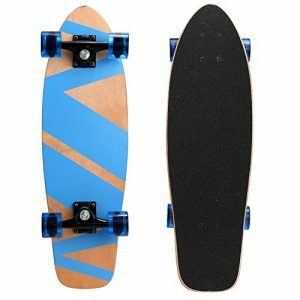 The bushings are a perfect hardness so you are turning and pivoting smoothly. 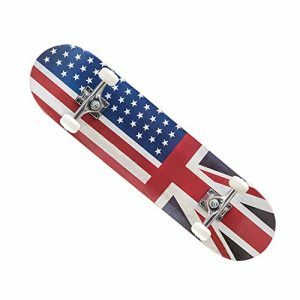 They perfectly assist your trucks and improve your skateboarding experience.